Deputy Senate president, Ike Ekweremadu, to face trial over hidden assets in UAE, UK, US – Royal Times of Nigeria. Deputy Senate President, Ike Ekweremadu, will next week be arraigned before the Code of Conduct Tribunal (CCT) Abuja by the office of the attorney-general of the federation (AGF) for false declaration of assets, the Cable reports. 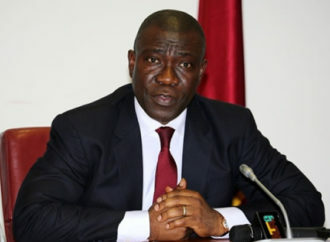 Ekweremadu has been accused of having assets in United Arab Emirates, United Kingdom and United States of America which he allegedly did not disclose in his declarations to the Code of Conduct Bureau (CCB) when he came in as deputy senate president in 2015 and he will be arraigned on the same charges slammed against Senate President Bukola Saraki. Meanwhile, officials of the ministry of justice and the Economic and Financial Crimes Commission (EFCC) will reportedly leave for the UAE on Monday to seek the forfeiture of eight properties allegedly linked to Ekweremadu. The forfeiture is being pursued under a bilateral agreement reached between the two countries after President Muhammadu Buhari assumed office in 2015. If found guilty, Ekweremadu could lose his position and could also be banned from holding public office for up to 10 years. See list of the properties Ekweremadu allegedly owns abroad below. The list was released by Sahara Reporters yesterday.